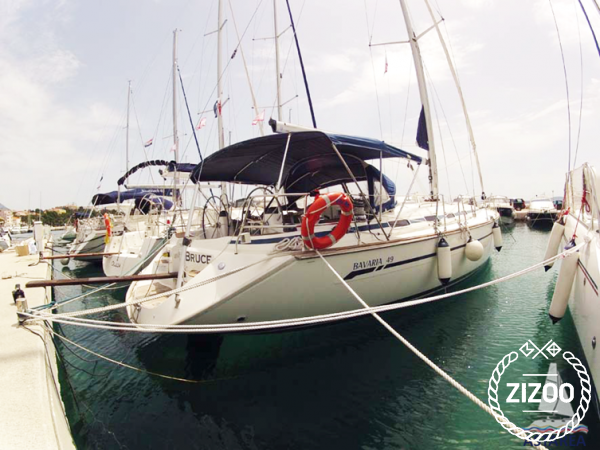 Though it wasn't born in the USA, this fantastic 2004 Bavaria 49, is a cool rocking sailboat that goes by the name of Bruce IV. Based in Baska Voda, it has 5 cabins, 3 bathrooms, an ample kitchen and spacious salon. This booming boat will accommodate 10 people comfortably, with an additional 2 berths in the salon. The Bruce IV is a fantastic means to explore all the hippest places on the Adriatic Sea. Blow your mind in the Blue Cave, be dazzled by the beauty of Vis, anchor in Tijat Bay for some chillin' downtime, or visit Stari Grad on Hvar and dance in the dark. The Bruce IV will guarantee you glory days. And if you want to know more about which destinations to visit, don't hesitate to contact your rocking crew.